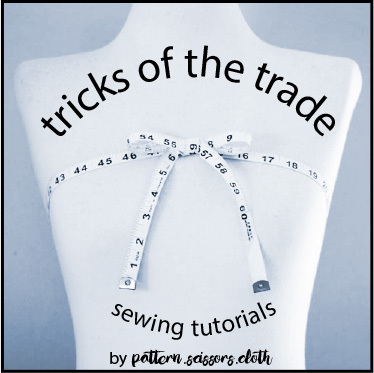 For some designs you need to hem a corner of fabric, and following are step-by-step instructions on how to neatly mitre the corner. This is my favourite method of finishing hems on fine or drapy fabrics, particularly viscose. It gives a quality finish inside and out, with no ugly overlocking to be seen! Repeat this for all corners that you need to mitre. It is best not to press your corner until after the hem is sewn. 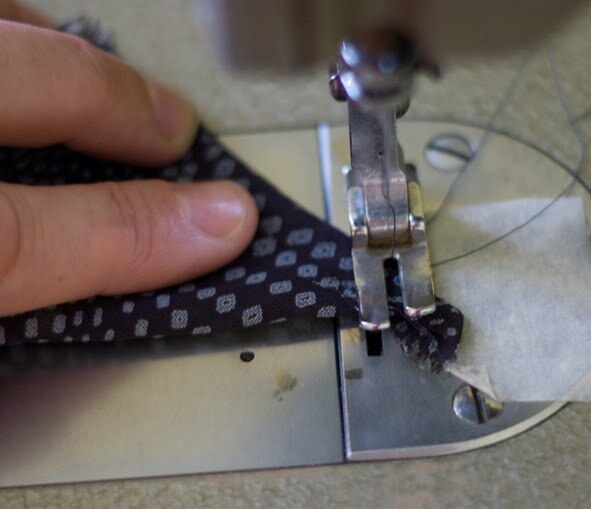 Once your hem is completed you can give it a press. Voila! Perfect corners – beautiful on the outside and the inside! I hope you find this tutorial useful, and if there are any questions I will answer in the comments. Excellent. I plan on making a set of 12 napkins and will give this a try. Thank you. So pleased to be of help! Kristen, you will be an expert after 12 napkins – or 48 corners! Um, one question – how do sew in a straight line? 🙂 Also, how do you sew without getting into a major fight with your sewing machine? I have yet to figure that out!